Can Improve Your Life In Ways You Never Dreamed Possible! 20% Of The Construction Companies - Share the Top 80% of the profits which the owners and shareholders use to support lavish lifestyles because they know what to do when to do it and how to do it! 80% Of The Construction Companies - Share the Bottom 20% of the profits which the owners and shareholders use to support just above or just below average lifestyles because they don't know what to do, when to do it or how to do it! Two Sample Remodel Contractors - Each operating in the same geographical area with similar size crews doing roughly the same type of work for homeowners with similar demographic and psychographic profiles. Contractor #1 Has A Business Plan - And focuses on activities that have the highest likely hood of generating a quick result. 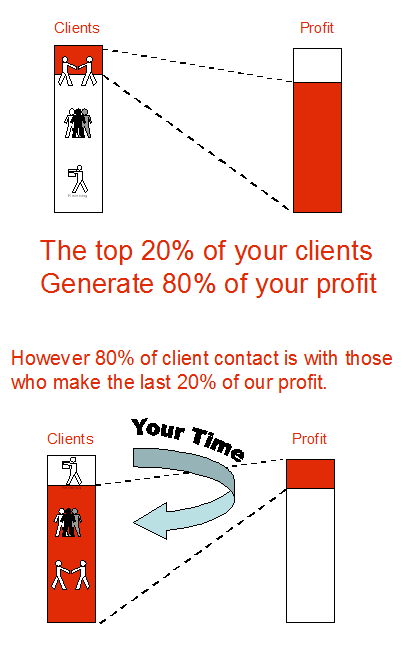 The 80 20 rule for business. They work closely with their business coach to continually update, develop and implement their custom strategy. They needed a business coach who gets his hands dirty, not only an idea man but an implementation man! Someone who understands and can teach them how to use the Five Key Performance Indicators. What Do You See - When you look at the two Profit & Loss reports above? 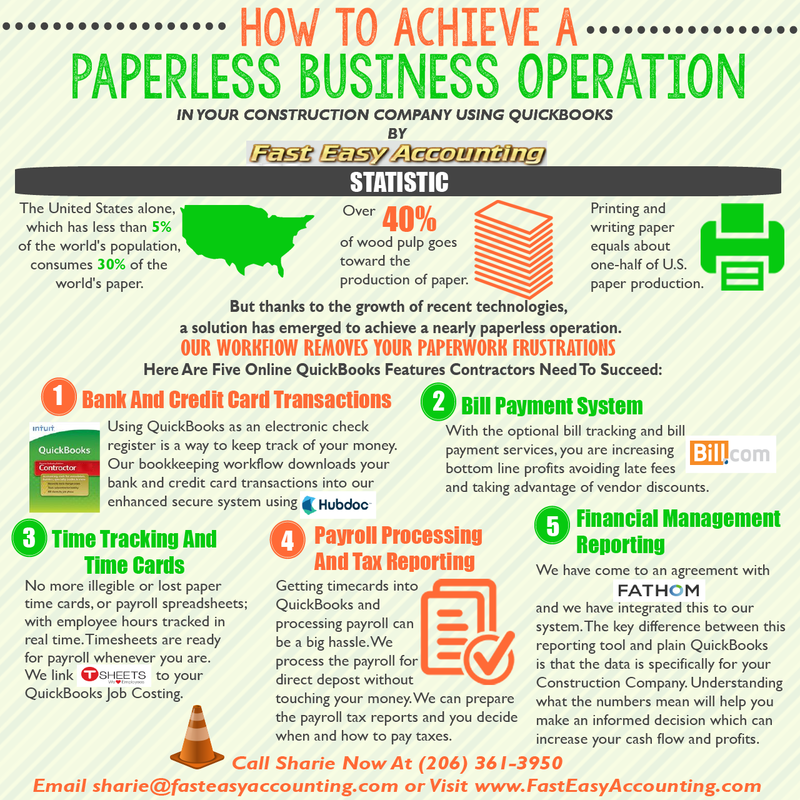 What You Don't See - Are the dozens of things contractor #1 has done to lower the Direct Construction Costs and outsource the bookkeeping services which have resulted in more efficient operations. Time to become more active in Master Builders Association and chamber of Commerce. More freedom and more time to spend on people and things other than running a construction business. How Does Contractor #1 Do It? Business Process Development - Discovers unseen patterns hidden in the accounting history (Reports) to map out expected future outcomes if nothing changes. 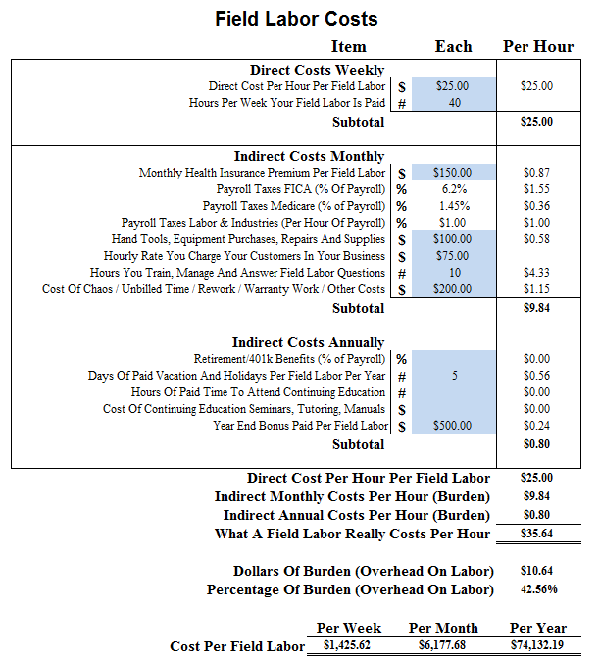 They Invested Time And Money - To determine their operating cost per hour for office staff and field workers. Learn more at: What Ten Minutes Costs Your Company. You can do it yourself or we can help. They Developed Baselines - For their business by generating Profit & Loss and Balance Sheet reports going back several years. The initial baselines became the foundation on which to build cash flow and profits. Now They Have A Process - For testing new methods of generating cash flow and profits and when the results were are favorable they keep them otherwise they simply discard them. As cash flow and profits grow a new baseline is established. Growing By The Inch Is A Cinch - Growing By The Yard Is Hard! - "...simple disciplines practiced everyday" is all it takes to turn your construction company into a money tree that can solve your cash flow issues now! 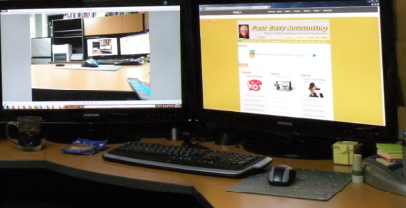 Three Fast Easy Ways To Increase Cash Flow And Profits! 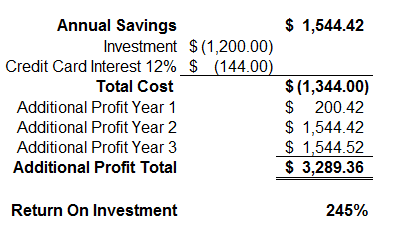 As You Can See - in this example an investment of $600.00 could generate new cash flows and net profits of $222 in the first year and $827.79 each year after that for the life of the equipment. Increase Sales Or Reduce Costs - The two main drivers of profit. Best practices from successful construction companies are to do both. The key is a thorough analysis on a case-by-case basis for each opportunity. The Example Shown Above - Should take about fifteen minutes if your QuickBooks is properly setup and maintained so that it generates accurate useful reports. 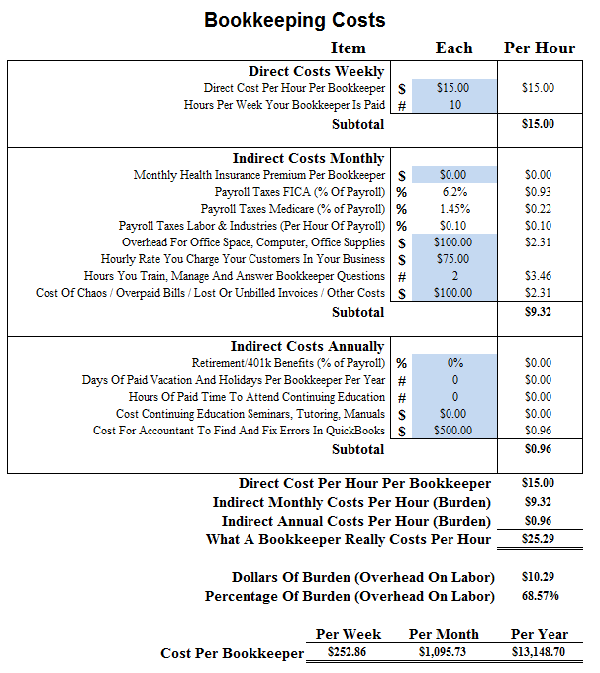 In Some Cases - We can do more work for less money by providing you with real construction bookkeeping and accounting + payroll processing + monthly and quarterly tax reports + year end W-2, W-3 + profit and growth management consulting + financial and job costing reports + paperless data storage and more at a lower overall cost and as an added bonus show you how to make more money than you are now! Cheap Tools And Equipment - Cost a lot of money that you cannot see; out-of-sight means out-of-mind. Invest in the best tools and equipment you can afford because in the short run you will save money. Construction workers who take pride in their work produce better results faster with fewer repairs if they have quality tools and equipment. The standard response is the company can't afford it! Highly Profitable - Construction company owner's will ask their construction accountant to calculate the projected the Return on Investment (ROI) is and then consult their Strategic Business Plan to make an informed decision. 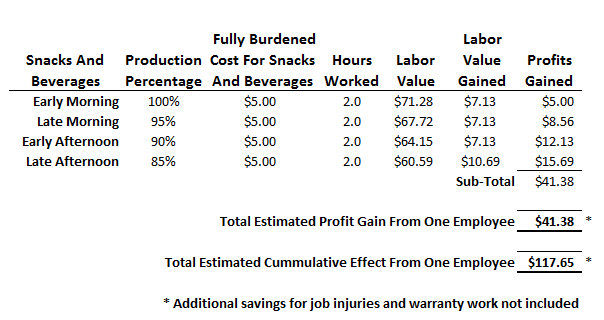 Providing Light Snacks And Beverages - For your employees should increase cash-flow and profits dramatically. 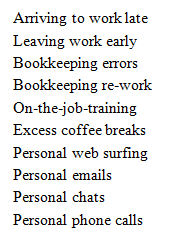 It certainly has that effect on all our construction and bookkeeping services. Profit, Profit, Profit - I like profit! I like it even better when your company makes a lot of profit. When You Come - To my office and start complaining about how much you are paying more in income tax since working with us than you used to earn in a year that makes me very happy! Because That Means - You are no longer struggling to make ends meet; rather, you are building a financial estate that will provide passive income to support you when you retire. Growing Profits By The Inch - Is a cinch works great because we did it for years in our construction businesses and we do it now in our accounting office. 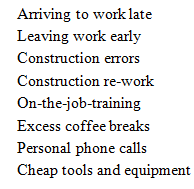 Here Is What Happens - Your construction worker, Frank Rockman, may or may not have a hearty breakfast before coming to work depending on a variety of factors outside your control and maybe his for that matter. If Frank Is Not Hungry - He will produce more work, in less time with fewer mistakes which saves you time and money on your labor, material, warranty work and other costs. After A Couple Hours - Intense construction work Frank could become a little dehydrated and having burned a number of calories he could be getting important messages from his stomach regarding FOOD NOW! This could cause Frank to slow down a little bit....costing your company some profit dollars. Lunch Time - Frank didn't pack a lunch, wants to "work through lunch" and leave early. If you watch Frank real close around 02:00 PM you will see the metabolism dance right out of his body and now he is uncomfortable and getting a bit edgy, grouchy and a slightly nasty. 02:00 PM Until Quitting Time - Is when Frank will screw something up, get careless, get hurt and require medical attention, (Ca-ching $$$, Labor and Industries investigation, ca-ching $$$) or if you are lucky his afternoon production will be roughly 80% of his morning production. What You Don't Know - Can destroy profitability because it is hidden. 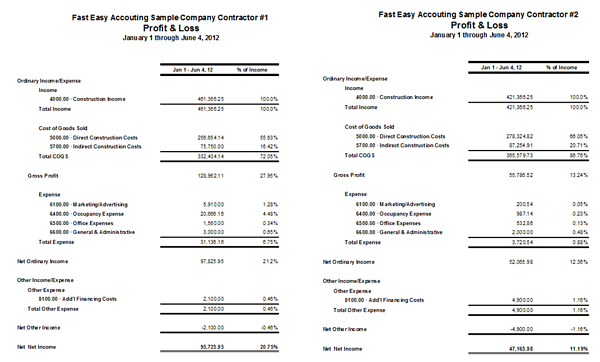 If you don't know how to analyze your QuickBooks reports get someone that does, perhaps Fast Easy Accounting. 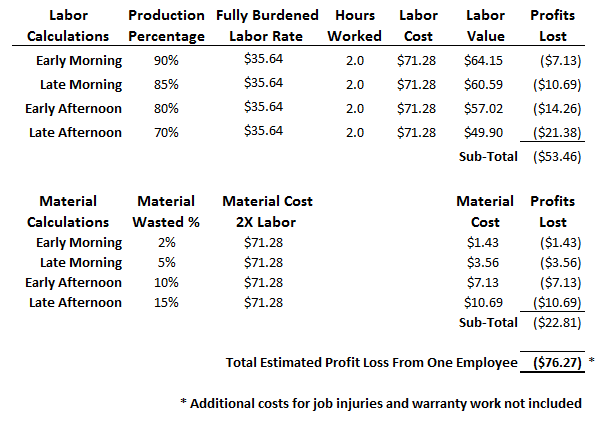 Two Contractors Doing Similar Work - For similar customers with the similar direct and indirect construction costs will have massively different KPI Reports including the Profit and Loss Statements. Size matters when it comes to piles of money and bigger profits! Understanding The Hidden Meaning - Behind your numbers is where the key to profit and growth is located. If you have read anything about us you know we love, respect and admire contractors and will do anything within reason to help you increase cash flow and profits! 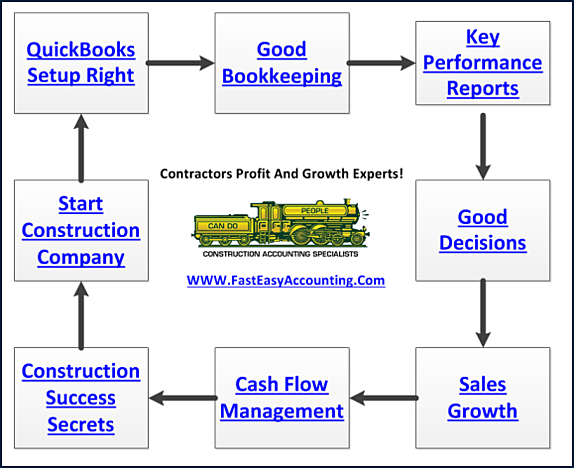 These Are Just A Sample - Of the tools we use to help contractors measure, manage and grow their construction businesses. Let us do the same for you!